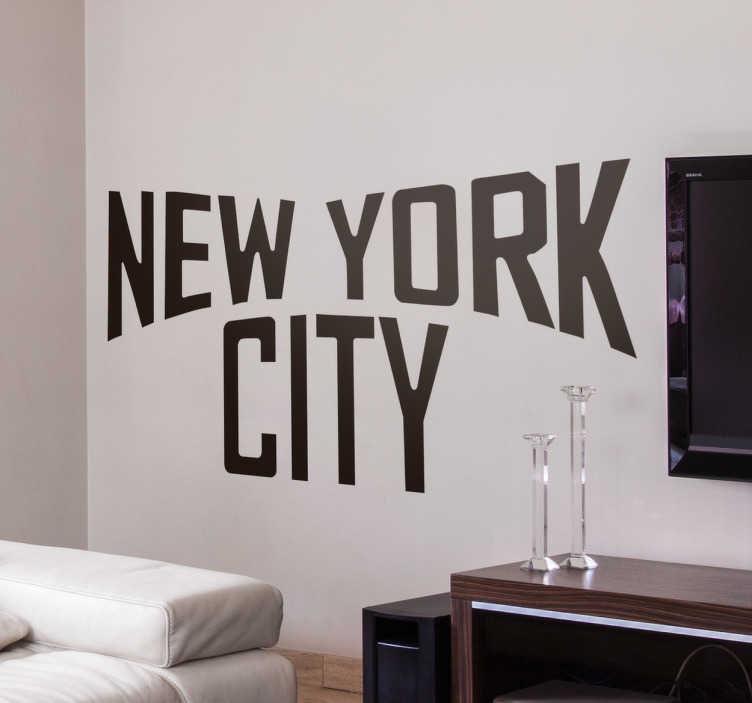 If you have a personal connection to the city that never sleeps, this decorative wall sticker is perfect for letting visitors to your home know! Featuring the text "New York City" in a bold and eye-catching font, this sticker is perfect for any room in the home, and is even suitable for outdoor application! Available in a variety of different sizes and if you require a custom sized vinyl made, don't hesitate to get in touch at info@tenstickers-ireland.com!